It must be the season- my mother is a fabulous baker and when I’m home we bake together (read: she bakes, I measure things and crack eggs for her), especially during the holidays. So I guess I thought, hey, I can do that too. But instead of trying to bake something simple like chocolate chip cookies, I went on a hunt for the recipe to one of my favorites, Italian Christmas Cookies. So, I’d say they weren’t a total disaster. Below is the recipe, should you feel inspired to try a little baking this season. 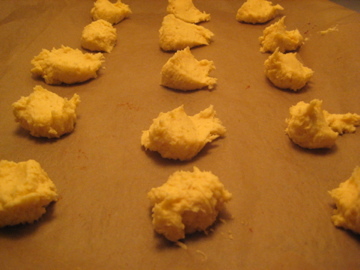 Cream butter and sugar, add eggs one at a time, beating well after each. Beat in ricotta and vanilla. 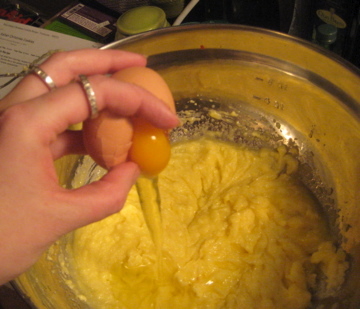 Combine flour, salt, and baking soda in a bowl, then gradually add to butter mixture. 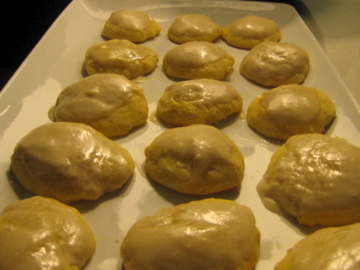 Drop by teaspoonfuls onto parchment paper, on baking sheet. 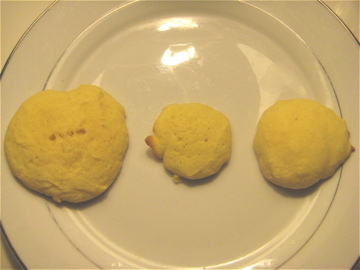 Bake at 350 for 10 minutes. 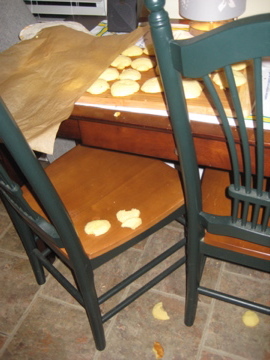 Should you decide to lift up the parchment paper and transport your cookies from your oven to your kitchen table, try really hard not to drop them on the floor. But if you do, que sera sera. 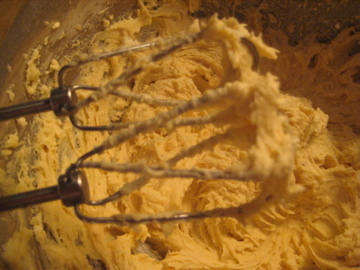 Compare batches before deciding which are worth frosting. too big, too small, just right. Cream butter, sugar, and vanilla. Add milk until frosting is spreadable. Frost cooled cookies by dipping tops into bowl. If you are decorating, do so immediately before icing hardens. Store cookies in fridge. Voila. *Actually there was enough dough for 6 batches, but after the fifth I put the rest in a container in the fridge. I may not be able to make good finished cookies, but the dough was delicious and makes an excellent snack.